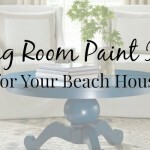 When it comes to decorating your beach home, there are a million and one options for your living area, kitchen, and even bathrooms. The one room in your beach home that is your nautical oasis is your bedroom. It’s the one place where you can have some privacy and truly get away from it all. 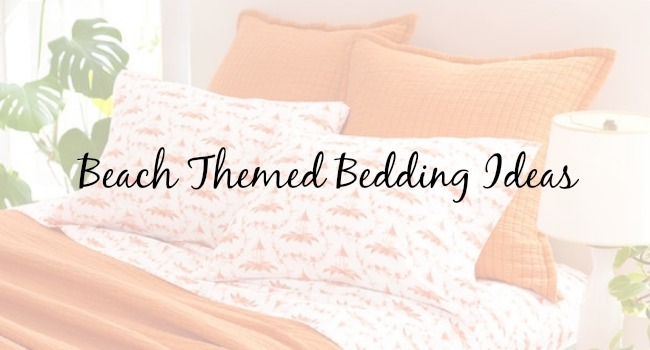 We want to make sure that no room is left behind in the décor department, so we are featuring some of the best beach themed bedding ideas on the web. 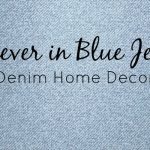 You don’t have to settle for ordinary bedding when you can have these unique beachy pieces that are sure to keep the vibe flowing through your home. Our first find comes to you from Completely Coastal. 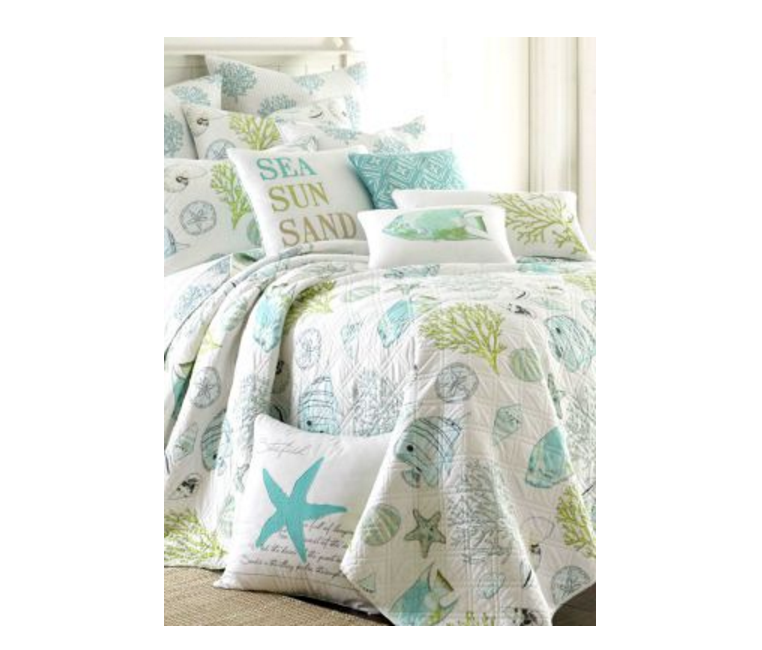 This sea, sun, and sand beach bedding is a whimsical and fun way to bring the beach into your bedroom. 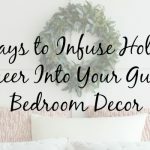 There are a number of traditionally beachy colors to choose from if you want to pair additional solid color throw pillows, rugs, or even trim along the walls. 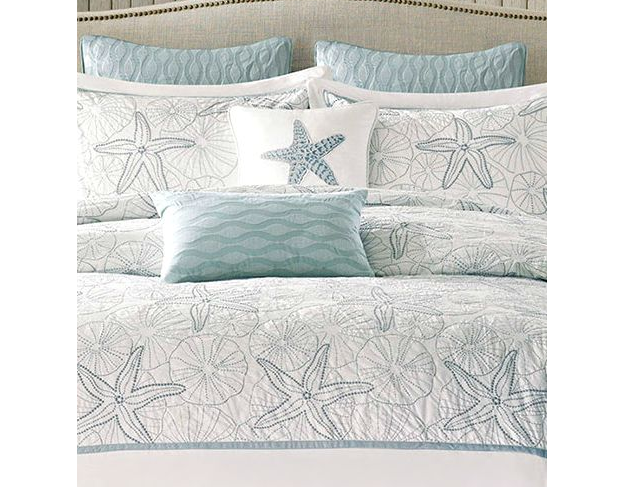 Decorated in starfish, coral, fish, and sand dollars, this bedding is sure to match just about any accent items you may already own. If you love starfish, then our next find is just for you! This creative bedding set by Harbor House is crisp and clean but has just a splash of blue to make the beach theme come to life. This bedding set would look great paired with a solid color throw or accent pillow from our Cottage & Bungalow collection. We love bedding themed bedding sets like these because you can really go all out with accent pieces and never go wrong. Decorate a little or go crazy; the sky’s the limit. Color is a major consideration when choosing bedding for your beach house. Some choose to stay with traditional white and add just the basic sea greens and blues while others choose more vibrant colors to mix things up a little. 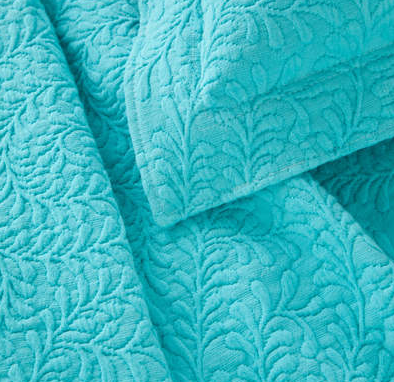 This Scramble Matelasse Coverlet from Cottage & Bungalow is perfect for those who love to experiment with color. The exquisite design reminds us of seaweed gently swaying back and forth on the ocean floor. These coverlets are super soft and comfy and come in an array of colors. Visit our website to view all of your color options. Speaking of color, this next treasure is not for the faint of heart. These pillows we found on Pinterest are amazingly vibrant and would look fantastic against a plain white bedspread. Long gone are the days of boring old bedding when you add these pieces of art to your beach themed bedroom. Your toughest decision isn’t whether or not these would look good in your home; it’s deciding which one is your favorite. These pillows would look great in a teen bedroom in particular. Adding vibrant throw pillows is an excellent way of reworking the décor in a room without having to replace all of the bedding. 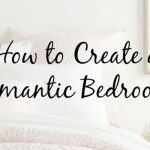 Another way to spice up your bedding without having to replace it all is to add a throw blanket. 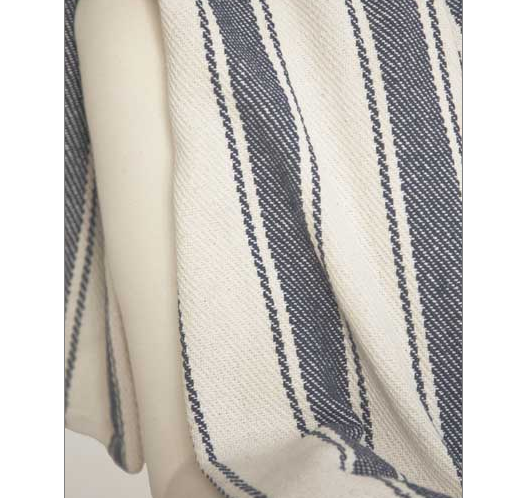 This blue awning stripe throw from Cottage & Bungalow would pair perfectly with a traditional nautical themed bedroom. You can fold it neatly and place it the foot of your bed or gather it up and toss it on the back of a chair for a more casual look. 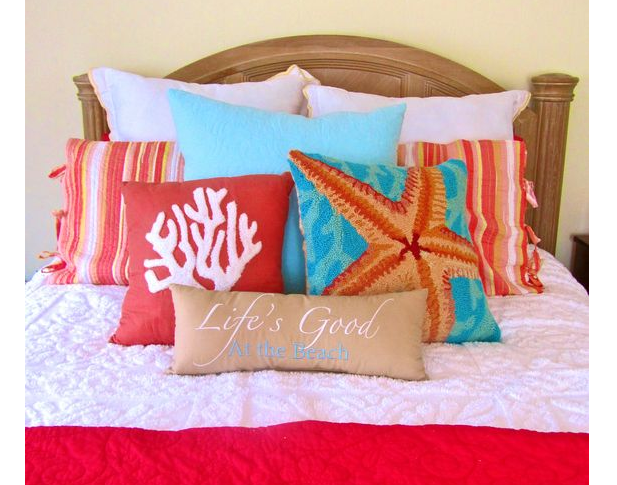 Beach themed bedding is a fun way to incorporate the sun and sand into your décor. Whether you’re decorating your beach home or just wanting something new for your every day home, these beach themed bedding ideas will have you dreaming of ocean waves and sandy beaches in no time.